Femen derives their goal to dismantle all religions from the fallacy that religion inherently oppresses women. Keeping in mind their cultural context, one can hardly blame them for this grim outlook. The fact remains, however, that many women find empowerment, strength, and healing through faith. On a practical level, it is simply a more realistic goal to reframe a religion in a inclusive way than to end all of them. 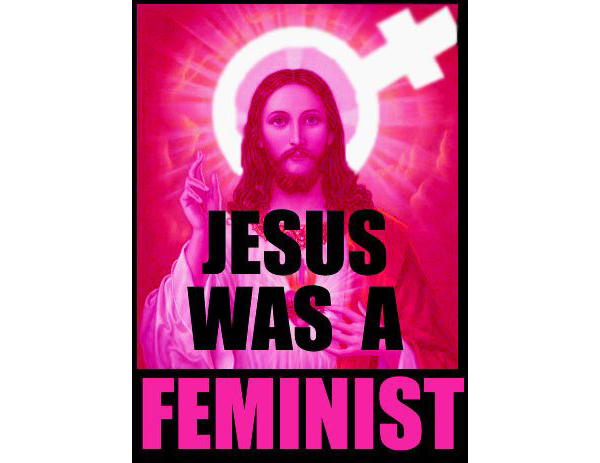 Feminist women of faith have been doing just that within their various religious traditions since the time of the second wave. Rather than marginalizing them within the feminist movement, feminists should support them in their efforts to bring feminists concerns to religious institutions. As Christianity, Judaism, and Islam are three major world religions that have received perhaps the greatest amount of feminist criticism, this paper will focus specifically on women in these faith traditions who have fought at the intersection of feminism and faith and celebrate the impacts they have made as they continue to strive for greater visibility and equality. When addressing the issue of women’s marginalization within Christianity, one should first note that this has not always been the case historically. Karen Jo Torjesen’s When Women Were Priests demonstrates that women were not always excluded from church leadership. The early Christian church originated in the private sphere with meetings taking place in homes behind closed doors. During this period of Christian history, women were the central leaders of the faith. When the church moved into the public sphere, however, women did not move with it, relegated to the home and thus becoming excluded. Torjesen’s research importantly demonstrates that the exclusion of women from church leadership is a cultural – rather than biblical – norm. For in Christ Jesus you are all children of God through faith. As many of you were baptized into Christ have clothed yourselves with Christ. There is no longer Jew or Greek, there is no longer slave or free, there is no longer male and female; for all of you are one in Christ Jesus. In her contribution to Ann Braude’s Transforming the Faith of Our Fathers, co-founder of Ms.magazine Letty Cottin Pogrebin writes of her experience as a Jewish feminist. Pogrebin “left organized religion because of female exclusion, male supremacy, and a host of sexist indignities and inequalities” but ultimately returned because of anti-Semitism within the feminist movement. Poets and liturgists degendered God language and prayer books. Educators created nonsexist, female-inclusive Hebrew school curricula. Feminist scholars drew on the sages and sources to prove women’s entitlement to wear phylacteries or tallit, to serve in the pulpit, have an aliyah, read from the Torah, and count in the minyan. Some fought for equity in Jewish academia and seminaries. Others took aim at gender bias in the allocation of community resources and demanded attention be paid to issues like homophobia, reproductive rights, or child care. Still others advocated for victims of domestic violence and sexual abuse, problems rarely acknowledged within the community because of the shonde (shame) factor. I could no longer claim my religious identity was ‘irrelevant to my life in the women’s movement or anywhere else. I could no longer divide myself in half, ignoring Deborah while in Golda’s territory or Golda when on Deborah’s terrain. As a woman and a Jew, a writer and an activist, it was incumbent on me to behave in the world as representative of both constituencies and to carry the interests of each group into the purview of the other. Islam, similarly, is rooted in a history of oppression and marginalization, thus providing its own “libratory impulses.” Azizah Al-Hibri was raised as a devout Muslimah with an excellent education. When her mother died, her father became overbearing but “used the religious argument to justify his actions.” Feeling suffocated by him and – by extension – Islam, Al-Hibri turned to Marxism and feminism instead of her faith. In her own words, “I never totally gave up my religious beliefs – these beliefs were very deeply entrenched – they were just submerged for a while” (48). It became clear to me that my grandfather had chosen me for leadership in the religious arena. This might be difficult to understand in light of what we see today. But no patriarch in this world who is a Muslim can stand in front of me and tell me that Islam would prevent me from doing what I am doing. There is absolutely no religious backing for such a position, and I know that because I have studied the religion. This is the power I have. We develop feminist jurisprudence…We do not invent things. We do not reject tradition. We just show how patriarchal men have distorted that tradition. I have taken my message to no less than fourteen Muslim countries where I sat with legislators, I sat with mullahs, I sat with women lawyers and grassroots women…In every place I was well received…But what I am trying to say is that in the Muslim world, if you come to a problem from a faith-based approach, Muslims are more like to listen to you than if you come to them saying “You still believe in religion? Why don’t you modernize and become secular?” That goes nowhere. Rather than working with and listening to Muslim feminists, Femen paternalistically and chauvinistically ignores the very women they claim to want to help. Femen’s leader Inna Shevchenko responded to Muslim women’s protests saying, “They write on their posters that they don’t need liberation but in their eyes it’s written ‘help me.’” Kolsy highlights the irony that these “supposed trailblazers in initiating a discussion on women and religion” refused to listen when Muslim women attempted to engage in the conversation. Like Al-Hibri, Kolsy corrects the “flawed presumption that Muslim women are oppressed because Islam is inherently oppressive.” She writes that “contrary to what Femen would have you believe, it is possible to practice Islam and champion women’s rights at the same time,” adding that “Muslim feminists would tell you as much,” were they not being “drowned out” by Femen. Jewish and Muslim women in particular belong to a double consciousness, oppressed as women but also as part of an ethnic and religious heritage of marginalization. Just like African American women often feel torn between their gender and their race, women in these faith traditions feel a pressure to choose between identities as feminists and as women of faith. When groups like Femen attack the religion itself rather than those who use it as a justification to oppress women, they further marginalize the women they should be empowering. If we are to advocate for a true choice feminism, women should not feel “the need to defend their faith and their right to choose how they practice it” to feminists.